Be motivated independent learners in an engaging environment. Participate within communities at all levels. Gain broad, balanced, transferable skills. Behave appropriately at all times. Develop empathy and tolerance for others. Have high levels of self-esteem, and have respect for themselves and others. 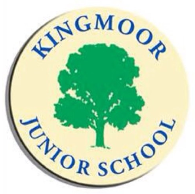 At Kingmoor Junior School, we strive to ensure that all our children are supported to achieve to the very best of their ability. We believe that building positive relationships with parents is the most important factor in supporting children with Special Educational Needs or Disabilities. As a first port of call, parents/carers should raise any concerns with their child’s class teacher. They can also request an appointment with our Special Educational Needs Co-ordinator (SENCo), Mrs. Hannah Graham.